Yves Saint Laurent and Pierre Berge made history at their private art auction at the Grand Palais in Paris Wednesday night. 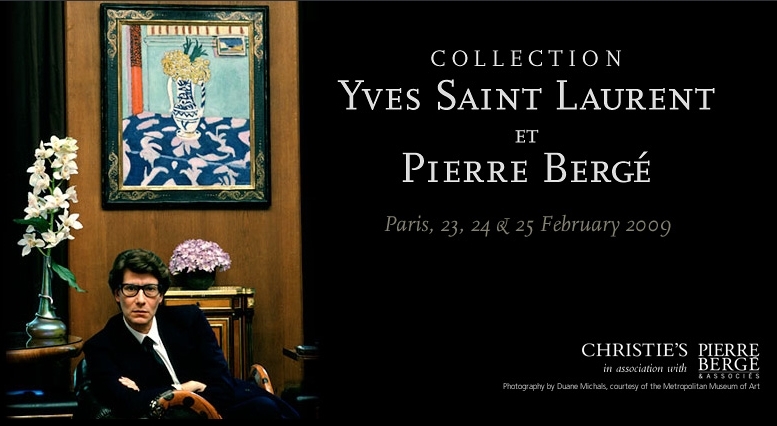 The final sale of the YSL and Pierre Berge collection brought the grand total to a mind-blowing $484.6 million. Some of the hot items at the auction were the rat and rabbit bronze fountainheads, which sold to anonymous telephone bidders for $20 million each. Paris was chosen as the ideal place for the auction because its notable for breaking the most world records for individual works such as $46.4 million for Matisses Les Coucous, tapis bleu et rose, plus records across categories, including decorative arts, Berg has achieved his goal of putting the city firmly back on the map as an important art center. If your business is auctions and your life is spent in the art business, this must surely be the greatest moment in our careers, said Christie’s chief executive officer Edward Dolman. Tonight we saw Paris reclaim its position at the center of the world’s art market. The eye of Yves Saint Laurent and Pierre BergÂ throughout made the provenance of this particular collection irresistible to the world. Gathering a collection of this importance is a work of artÂ and I’m sure Yves Saint Laurent and I, we made a work of art, Berg said when thanking the media for its support.